STEPS Charity are working to create a brighter future for people with a disability. They promote equality and provide opportunities for independence and improved quality of life, strengthening the capacity of individuals to fulfil their dreams and become confident, valuable contributors to their community. Ken Mills Toyota is a Living Legend Partner and Brett Mills sits on the Advisory Committee to the Charity. 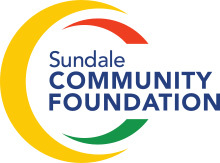 Ken Mills Toyota partnered with Sundale Community Foundation through a $5000 Bursary to support community outcomes for this region. The 2018 funding was shared between Bli Bli Primary School, the River Road Equine Assisted Learning and Sunshine Valley Men’s Shed for projects that strengthen connection to the natural environment. Ken Mills Toyota is supporting Sunshine Coast tourism by supplying Visit Sunshine Coast (VSC) with two new Corolla Hybrid vehicles till 2020. The vehicles feature eye-catching prints promoting the natural and coastal features of the region and will be driven by VSC staff members to promote the Sunshine Coast as a destination for international and national visitors. Ken Mills Toyota is a Hybrid Specialist on the Sunshine Coast having been selling and servicing Hybrid vehicles for the last 15 years. 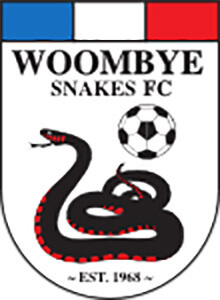 Ken Mills Toyota has been a proud major sponsor of the Woombye Snakes for the last 5 years. One of the oldest soccer clubs on the Sunshine Coast, it has its origins dating back to 1968 (Woombye Soccer Club as it was known back then) when Sunshine Coast Soccer was formed, making it a foundation club of soccer on the Sunshine Coast. We support their focus on player enjoyment and participation, and their belief that enjoyment of football is the ultimate goal. The Maleny Neighbourhood Centre is the sole beneficiary of the bi-annual Obi Art Prize, and all profits go to helping fund social Programs at the Centre. As a passionate supporter of our Hinterland communities, Ken Mills Toyota is once again the ‘People’s Choice Award’ sponsor at this prestigious art event to be held over the 4th – 7th October 2019. Ken Mills Toyota has been a Gold Sponsor of the Coolum Beach Surf Lifesaving Club for many years and we are especially excited to support the patrols again in 2019 - their 100th season of keeping our beaches safe. It will be a great year of celebration. We are also have proud associations with Maroochydore Chamber of Commerce, Nambour Alliance, RACQ LifeFlight, Nambour Golf Club, STEMM, Nambour Crushers, Immanuel Lutheran College, Story Dogs, Nambour Christian College and Nambour State School.